If you live anywhere close to Bellwood, Pennsylvania (or can get there), then place a big "X" on your calendar on February 23, 2019 to attend the Central PA Fly Fishing Show, which is being organized by the McFarland Rod Company. The day long event will be a mix of presentations, various vendors will be set up and there's a good chance you'll be able to demo quite a few glass fly rods as well. There will also be fly tying and rod building demonstrations that will be ongoing throughout the day. 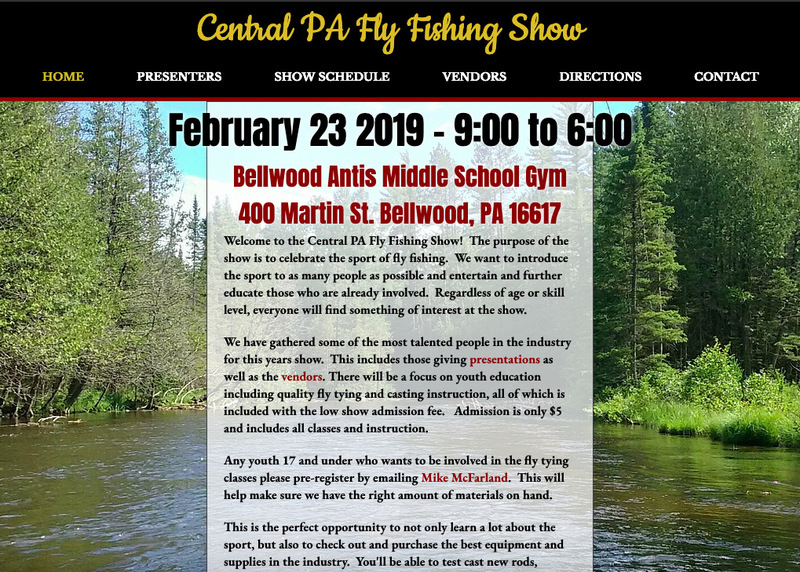 For more information please visit the Central PA Fly Fishing Show website and let them know you are coming on the Facebook event page as well.